Chas climbing the rocks of the Nopah Formation in Dedeckera Canyon. These rocks were formed from a fault at the bottom of a sea in the Cambrian Period about 550 million years ago. 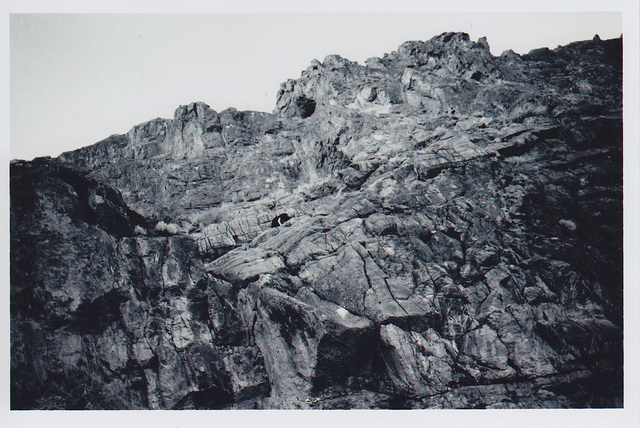 For some reason I have a ton of photos with Chas as a speck climbing some compelling rock formation. This is a Chas pattern.